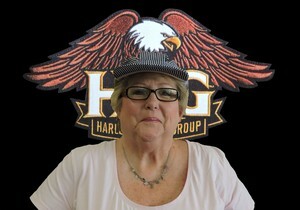 This page is an online memorial for Orange Park HOG members. Kathleen Yarborough Dyky, born on January 11th, 1951 in Jacksonville, Florida to the late Betty Bruce Fletcher and the late James Edward Fletcher. She passed away at age 68 on February 5, 2019 in Orange Park, Florida. Kathleen was the beloved wife of LEONARD DYKY for 11 years. She is survived by her daughters, Carol Randolph Jenkins and Shawn Randolph Scoville; brothers, Bruce and James Fletcher; and her sister, Linda Bryan. Kathleen has a blended family of six children, 14 grandchildren and 15 great grandchildren. She retired in 2016 from the Department of Defense Child Development Center at Naval Air Station, Jacksonville, FL after 25 years of service. She devoted her life to her family and all the children she came in contact with. She is at peace now, riding her Harley trike as fast as she wants on Heaven’s open freeway, with the sun shining on her and all our loving memories to fueling her ride. 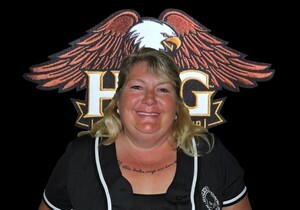 A memorial service was held March 31, from 1 to 3 pm at Adamec Harley Davidson, 1510 Wells Road, Orange Park, FL 32073. Susannah Angelina Spencer, age 75, lost her battle with breast cancer on February 14, 2019, surrounded by loved ones at St. Vincent’s Hospital in Jacksonville, Florida. Susannah was born on July 7, 1943 and was raised in Hertfordshire, England. She came to live in the US in 1964 as a nanny and married in 1966. She had a long career with British Airways where she worked at Dulles International Airport in Washington, DC until relocating to Jacksonville in 1986. She worked at State Employees Credit Union in Jacksonville until 2010 and relocated to her beloved home in Riverside in 1998. Susannah loved life and life loved her. She thoroughly enjoyed her retirement and was an avid member of many social clubs including Riverside Tennis Club, The Garden Club of Riverside, Jacksonville British Club, POETS Society of Riverside as well as an active member of the Episcopal Church of the Good Shepherd. 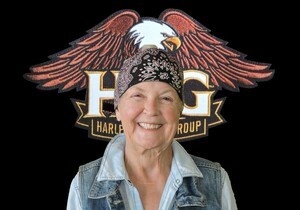 Susannah always loved adventure, whether sailing early in life or riding on the back of a Harley later in life. She traveled across the globe always making friends along the way with her infectious smile, zest for life and positive spirit. Susannah is survived by her three daughters, six grandchildren and her partner, Michael. Susannah was cherished by all and touched the hearts of so many and will be greatly missed. Farewell, our lovely Sassy, you will be in our hearts forever. It is with heartfelt sorrow to inform you that our new LOH Officer Sharan Blankenship passed away 1/21/2019. Our thoughts and prayers go out to Lee and her family. Rocky was born in Mrytle Beach, SC and moved to Jacksonville, FL from Charlotte, NC in 2004. He got his first motorcycle in 2011 (Honda Interstate). It didn’t take long before he wanted something bigger. He traded that in for a 2017 Ultra Classic Limited Low and that was his prize and joy. He was a big advocate for animal rights and rescue. He had a stroke on 7/3/17 and passed on 7/5/17 at the age of 61. 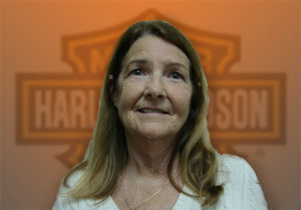 Cheryl was an active member of the Orange Park HOG chapter along with her husband of 45 years, Leo. Cheryl was born and raised in Florida, and dedicated her life to helping others as both a Registered Nurse and her passionate volunteer work with K & C Pet Rescue. She will be remembered as a loving and caring wife, mother, grandmother and friend. Cheryl was 66 when she found her rest after a 10 month battle with cancer. 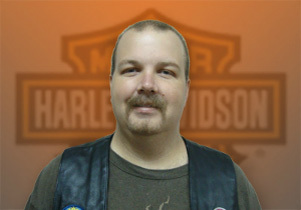 Kevin was an active member of the Orange Park HOG chapter along with his wife Jeanine and father Al. 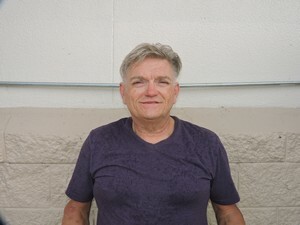 His passion and lifelong love for motorcycles was evident whenever he spoke to you, and he was a proud owner of a Harley Road King, ’16 model K and ’17 model O Indian motorcycles. Kevin was born and raised in Florida, graduated from Baldwin High School and achieved the rank of Eagle Scout. He will be fondly remembered for his genuine kindness and willingness to always help those in need. Kevin was 33 when he found his rest after a courageous battle with colon cancer.